We believe that the fashion industry in the United Kingdom, and globally, needs far-reaching systemic change in order to tackle poverty, economic inequality, gender inequality, climate change and environmental degradation. We believe this change needs to happen at three, different yet interrelated levels: government, industry and culture. The U.K. Government is obligated to ensure that its fashion industry respects and protects human rights and the environment through a variety of legal and formal commitments, including but not limited to the SDGs 1, 5, 8, 12, 13, 14 and 15; the eight core ILO conventions; the International Covenant on Economic, Social and Cultural Rights; The Human Rights Act 1998; The Modern Slavery Act 2015; The Aarhus Convention; and The Paris Agreement. However, the fashion industry is largely failing to respect and protect human rights and the environment, in the U.K. and in countries with which it trades. The way fashion (which includes clothing, textiles, footwear and accessories) is produced and consumed has been dramatically scaled and sped up over the past 30 years and so too have we seen more frequent and deadlier garment factory disasters and more significant and faster environmental degradation. The Rana Plaza factory disaster, which killed over 1,000 garment workers in Bangladesh in 2013, was the direct result of the opaque, complex and speedy way in which the industry functions today. The Aral Sea, formerly one of the four largest lakes in the world, has almost entirely dried up in large part due to intensive industrial cotton farming. Clothing in the earliest days would have been made-to-order by local tailors and sold through trunk shows to aristocratic clients. Later luxury fashion design would be shown on the catwalk across a few major urban centres, still produced locally and on a relatively small scale. Consumer culture was ushered in around the 1950’s. In the early 1970’s the U.K. and other countries set up a quota system to limit the amount of textile and apparel imports from specific countries. However, it drove up domestic manufacturing costs and production began moving abroad. By the mid 1970’s many brands, some of which are now the world’s largest retailers, began rapidly copying catwalk styles, producing them for much less and having them on shopping rails within months. ‘Fast fashion’ gained steam throughout the 1980s, and some heralded it as the ‘democratisation of fashion.’ What once seemed exclusive to a few was made accessible to most. The majority of the market moved in this direction throughout the 1990’s. Fast forward to today and the fashion industry has become one of the most influential sectors, both in terms of financial power and how it shapes wider trends, beliefs, attitudes, behaviours, identity and culture in the U.K. and across the world. According to McKinsey (2015) the fashion industry has “outperformed the overall market and every other sector across geographies for more than a decade” — more profitable than even high-growth sectors like technology and telecommunications.” Europe’s richest person, Bernard Arnault, has made much of his fortune through selling luxury goods, owning more than 20 fashion and accessories brands and retailers. Amazon CEO Jeff Bezos and Inditex founder Amancio Ortega are both in the top ten wealthiest people in the world. In the U.K., Sir Philip Green is worth an estimated £4.3 billion and the richest person in fashion at the helm of the Arcadia Group (Forbes, 2018). As a result of fashion’s growing importance to the global economy, garment manufacturing has become the world’s third-biggest industrial industry — behind only automotive and electronics manufacturing (Financial Post, 2014). It is one of most labour intensive industries directly employing at least 60 million people (ILO, 2015) and likely more than double that indirectly dependent on the sector — an estimated 80 million in China alone (ODI, 2008); handicraft artisan production is attributed as the second largest employer across developing countries, counting some 34 million handicraft artisans just in India (Alliance for Artisan Enterprise, 2014) and as many as 100 million households in cotton production (Fairtrade Foundation, 2015). Women represent the overwhelming majority of today’s global garment workers and artisans, the bulk of which make far less than a living wage, persistently face poor working conditions and live in poverty. 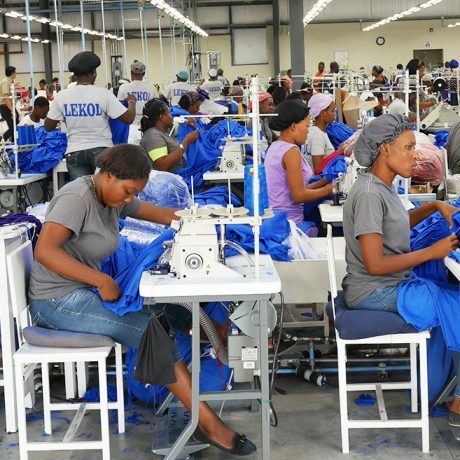 For the past decade, clothing manufacturers have seen rising costs, driven by rising labour, raw material and energy prices. Yet despite the higher cost of producing clothing, the price that consumers pay is cheaper than ever before. A century ago, people spent more than half their income on food and clothes, today people spend less than a fifth (The Atlantic, 2012). 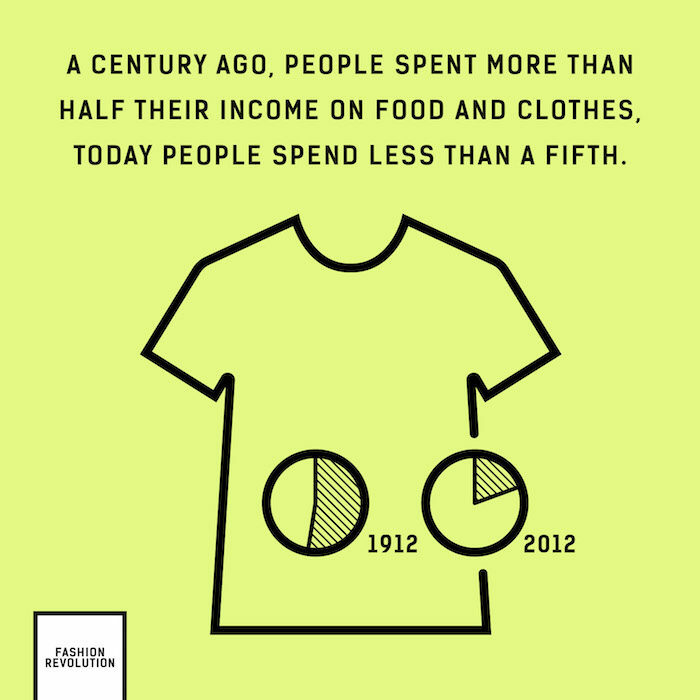 While we spend less on clothes than ever before we also buy more clothes than we used. As a society we purchase 400% more clothing today than we did just 20 years ago (Forbes, 2014). The fashion industry works on a relentless drive for speed and with it comes mounting waste and overconsumption. Today over 150 billion garments are produced each year (MIT, 2015). Clothing typically stays on the sales racks for fewer than 12 weeks before being marked down on clearance. Consumers have become so accustomed to these markdowns that it has created a vicious cycle of overconsumption, paired with lower margins for brands and retailers as they find themselves saddled with overstock and forced to discount slow-selling merchandise, or as we have seen the case recently with Burberry and H&M, burning perfectly good materials because they don’t sell. If we estimate that out of the 150 billion garments manufactured each year and if let’s say the sell-through rate (both full and discounted) is a very generous 90%, then potentially 15 billion items of clothing become ‘deadstock’ every year, most of which end up going to landfill or incinerated. Not only has production moved mass-market but the way people consume clothing has changed a lot over the past 20 years. In the U.K. people purchased 1.13 million tonnes of clothing in 2016 alone, causing 26 million tonnes of carbon dioxide emissions from production to disposal and putting clothing fourth after housing, transport and food in terms of its impact on the environment (WRAP, 2017). 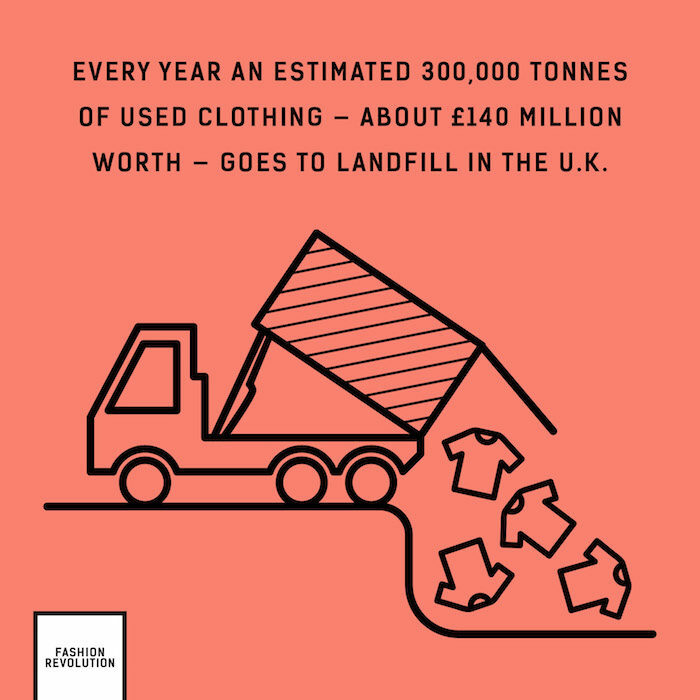 Yet the average U.K. household left nearly a third of their clothes unworn over the past year (worth over £1,000 per household, £30 billion in total) and every year an estimated 300,000 tonnes of used clothing — about £140 million worth — goes to landfill in the U.K. (WRAP, 2017). Simply put, the fashion industry is using both human and environmental resources in a largely inefficient, exploitative and unsustainable manner. Systemic change is required and we believe that greater transparency is the first crucial step towards solving the industry’s human exploitation and environmental crises. Increased transparency means issues along the supply chain can be identified, addressed and remedied much faster. Greater transparency also means best practice examples, positive stories and effective innovations can be more easily highlighted, shared and potentially scaled or replicated elsewhere. Fashion Revolution has also demonstrated that citizens and consumers expect greater transparency from the fashion industry. 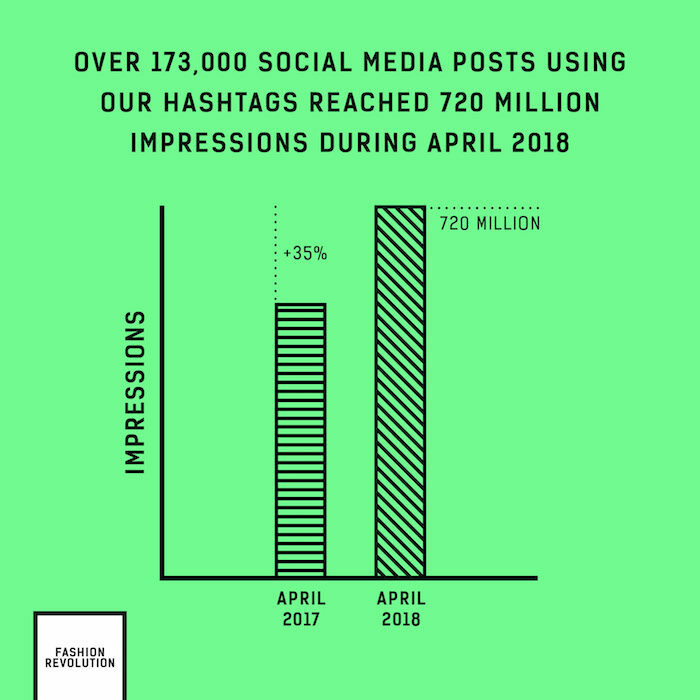 Over 173,000 social media posts using our hashtags, including those asking #whomademyclothes, reached 720 million impressions during April 2018 alone – an increase 35% on the previous year. In 2017, more than 2.5 million people around the world participated in Fashion Revolution’s call for greater transparency in the fashion industry. When citizens and consumers are equipped with more — and better quality, credible, comparable —information about the human and environmental impacts of the clothes they buy, they are able to make more informed choices about what they choose to buy and wear. And let’s be honest, we are all consumers of apparel, so we are really talking about ourselves. The U.K. Modern Slavery Act 2015, and specifically section 54, is an important piece of legislation for progressing greater transparency in the fashion industry (amongst other sectors) but its scope and implementation is too limited. Many leading British fashion companies are moving faster towards greater transparency than the government is moving. For example, in our annual Fashion Transparency Index, we have reviewed 150 major global fashion brands and retailers, dozens of which are British companies, and have found that 37% are disclosing their manufacturers, up from 12.5% in 2016. We have seen an average 5% increase in overall supply chain transparency amongst 98 major global fashion brands and retailers between 2017 and 2018. Our Fashion Transparency Index has been designed in a way to make use of the competitive nature of business by scoring and ranking brands annually. Brands are competing against their peers and themselves year-on-year and this is helping to drive them to disclose more information about their social and environmental policies, goals, practices and impacts. Clearly companies can and are willing to be more transparent when the incentives are there to do so. 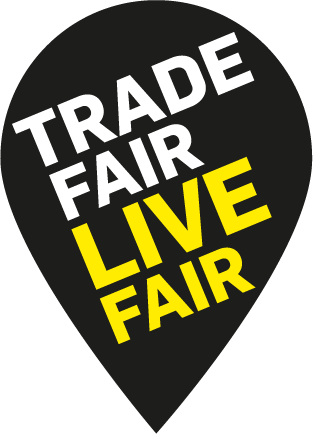 The U.K. Government can and should do more to ensure there are proper and effective incentives in place to compel and support companies to achieve greater supply chain transparency leading to better working conditions and environmental impacts. Establish and enforce penalties for companies that do not comply. Furthermore, we urge the U.K. Government to pass mandatory due diligence laws, building upon the recent regulatory examples in France and Switzerland. Due diligence is the process through which companies identify, prevent, mitigate and account for how they address their actual and potential adverse social and environmental impacts. The French ‘Duty of Vigilance’ law requires all French companies that have more than 5,000 employees domestically, or employ 10,000 employees or more worldwide, to implement an effective ‘vigilance’ plan to address environmental, health and safety and human rights both in their own operations and at their suppliers and sub-contractors. Although the regulation is still taking shape, large Swiss companies will likely soon be compelled to undertake human rights and environmental due diligence in their business activities abroad and proposals include parent company liability. Swiss companies will be legally obligated to comply and will be liable for damages unless they can prove they have undertaken adequate human rights and environmental due diligence to comply with the law. Mandatory due diligence is important because it requires that companies take a much more active approach to identifying, monitoring and measuring their human rights and environmental impacts across their supply chains. No longer can they turn a blind eye to poor working conditions and environmental degradation. This is particularly important as we build further evidence of the persistence of poor working conditions in fashion supply chains around the world. For example, in our Garment Worker Diaries project, conducted in partnership with Microfinance Opportunities, researchers visited 600 garment workers in Bangladesh, Cambodia and India each week over the course of 12 months last year to learn about what they earn and buy, how they spend their time each day, and what their working conditions are like. Our findings show that 50% of female garment workers we surveyed in Bangladesh only sometimes or rarely felt safe in their factory. 12% reporting being hit, pushed or grabbed while at work in the factory. Between 8% and 15% of garment workers in Bangladesh reported making less than a minimum wage, depending on which city they reside. In Dhaka, over 60% of workers reported regularly working illegal overtime hours. 76% of female garment workers we surveyed in Cambodia only sometimes or rarely felt safe in their factory and 45% reported witnessing a fire in their factory at least once over a 12-month period. 82% of these workers reported pregnancy as the top reason for workplace discrimination and 32% reported being verbally abused at work. 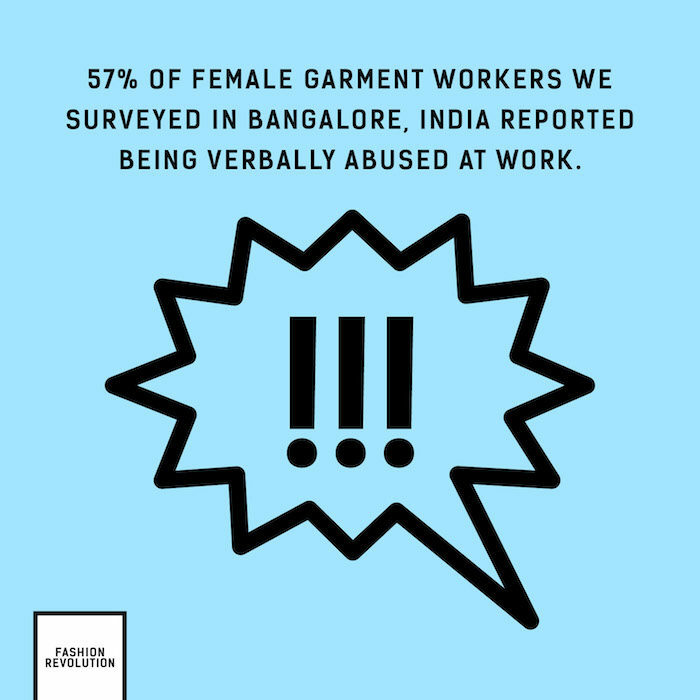 In Bangalore, India 57% of surveyed garment workers reported being verbally abused at work while only 12% reported being part of a trade union. The garment workers we surveyed are manufacturing clothes for dozens of well-known global brands, the bulk of which are either based in the U.K. or selling their products in the U.K. This research demonstrates that the current system companies rely upon for auditing and monitoring factories isn’t sufficient, is not keeping the people who make our clothes safe and seriously lacks transparency. Mandatory due diligence laws would require that companies take a deeper dive into the working conditions and environmental practices of the facilities where their products are made. Transparency shouldn’t be limited to issues of modern slavery, working conditions or other social impacts but also to environmental policies, practices and impacts. For example, waste is one of the most pressing issues in the fashion supply chain, exemplified by recent media exposés showing Burberry and H&M burning unsold stock and reports of the growing number of microplastics polluting our oceans. Estimates say that only 20% of textiles are recycled globally, which means 80% end up in landfill or incinerated (Worn Again, 2017). The Burberry stock-burning example has exposed only the tip of the iceberg — i.e. the vast amount of clothing and accessories that is discarded in an economically and environmentally inefficient way by fashion brands — but little is known about waste practices throughout the rest of the fashion supply chain. For example, it is estimated that 400 billion square metres of textiles are produced each year globally and 60 billion square metres (equalling 15% of all textiles produced) end up as cutting floor waste (MIT, 2015). It begs the question: where does this waste go? The answer: we don’t really know. 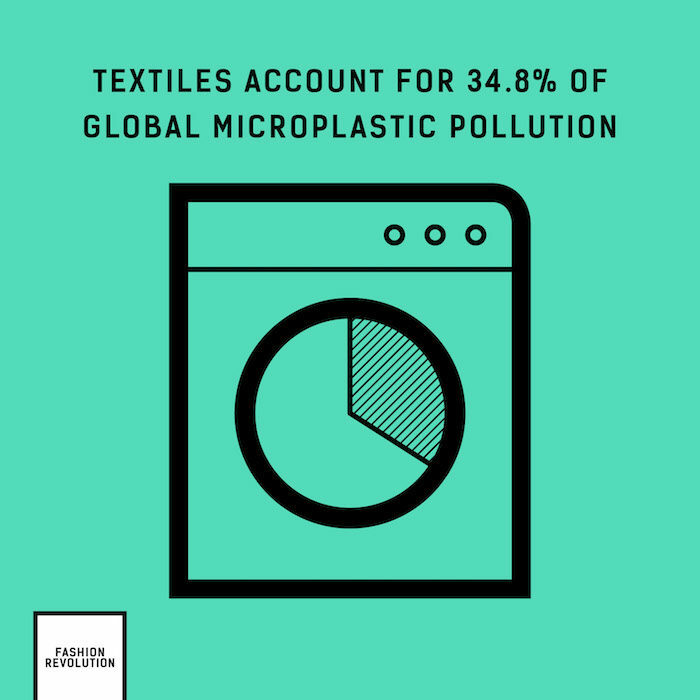 In fact, textiles are estimated to be the largest source of microplastics, accounting for 34.8% of global microplastic pollution (Boucher and Friot, 2017). It has been estimated that 1.4 trillion microfibres are currently in the oceans (Leonard, 2016). A single synthetic garment can release over 1,900 microscopic sized microfibres in just one wash. (Browne et al., 2011; Napper and Thompson, 2016). Washing machines discharge the microfibres into sewage, where up to 40% of these microfibres will pass through filters in wastewater treatment plants and flow into the ocean (Henry, Laitala and Grimstad Klepp, 2018). However, even microfibres captured in wastewater treatments processes can end up in the environment, since the sludge is often applied as fertiliser, allowing microfibres to leach into the environment anyway (Ellen MacArthur Foundation, 2017). Furthermore, when discarded to landfill or incinerated, textiles degrade and leach microfibres into the environment at this stage too (Henry, Laitala and Grimstad Klepp, 2018). Microplastics also absorb chemicals present in the water or sewage sludge, such as polychlorinated biphenyls (PCBs) and carcinogenic Persistent Organic Pollutants (PoPs). Microplastics can transfer these toxic chemicals to species causing internal damage to organs, preventing growth and reproduction (Koelmans et al., 2016; Henry, Laitala and Grimstad Klepp, 2018). Microplastics are now so widespread that they have been found in a number of non-marine food and drinks including beer, bottled water and honey (Ellen MacArthur Foundation, 2017). However, the effect of microfibres transferring chemicals to plants, animals and humans has been understudied, with currently relatively unknown consequences for plant, animal and human health. The U.K. Government has taken a positive step by banning microbeads in cosmetics but still little is known about the effects of microplastics shedding from our clothes. The lack of transparency within the supply chain, particularly of large brands and retailers, makes it difficult to monitor their waste management and recycling practices, allowing companies to evade responsibility for their environmental impacts. Following the Swedish model, offer U.K. citizens tax breaks when they choose to repair clothing, accessories and shoes rather than throwing them in landfill. Through advertising and media, companies tell consumers that they ‘need’ to keep up with the latest trends and that people’s identity is defined by what they consume. This only serves to fuel fashion’s overproduction, overconsumption, waste and negative social impacts. However, this is the prevailing business model in the fashion industry in the U.K. and many other consumption-based countries — where the need to ‘sell, sell, sell’ and deliver shareholder return is paramount above all else, no matter the social or environmental consequences. If the U.K. Government is serious about improving human rights, social impacts and environmental sustainability in the fashion industry then it must rewrite the rules of the economy so that shareholder profit is no longer prioritised above the protection of our ecosystems and the health and wellbeing of our communities. This is not a radical idea. In fact U.S. Senator Elizabeth Warren recently unveiled a new bill called the ‘Accountable Capitalism Act’, which seeks to end shareholder supremacy in the American economic system. In many countries, employees at large companies elect representatives to their firm’s board of directors in order to advocate their interests and point of view to management. This gives regular workers a greater say over how their companies are run, which means a tangible opportunity to voice concerns about pay, working conditions, pollution and environmental degradation perpetuated by a company’s practices. We urge the U.K. Government to consider similar legislation. 51% want to know what they can do to become more sustainable. 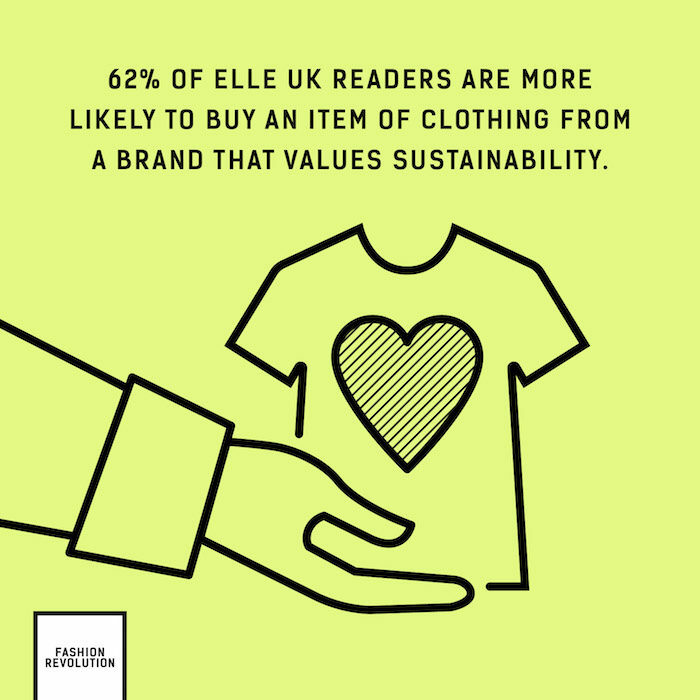 Furthermore, 49% of UK consumers (based on Mintel Report 2017 from 2,000 internet users aged 16+) would be interested in buying fashion items made wholly or partially from recycled materials. A recent Unilever study (2017) found that over one third of consumers (33% of 20,000 adults in five EU countries, including the U.K.) are now choosing to buy from brands they believe are doing social or environmental good. 53% of shoppers say they feel better when they buy products that are sustainably produced. 21% of the people surveyed would actively choose brands if they made their sustainability credentials clearer on their packaging and in their marketing. Unilever estimates that this represents a potential untapped opportunity of €966 billion out of a €2.5 trillion total market for sustainable goods. Finally, one of the key reasons that Fashion Revolution has inspired and activated so many people across the U.K. and around the world to demand greater transparency from the fashion industry is because we are speaking in positive and empowering cultural terms and using fashion-focused language and visuals. We are trying to change the narrative and to influence the zeitgeist of fashion so that sustainability and ethics become the cultural expectation and the business norm. Ultimately, improving the way clothing is produced, manufactured, bought, cared for and disposed of is everyone’s responsibility and the U.K. Government must do more to ensure that the future of fashion is sustainable.